When you have a little kid you usually spend most of your time taking care of it. And can you imagine how much time it takes to look after a kinder garden?! I bet you can't! This funny time management game shows you what it takes to deal with kids! Help Wilson to run his day care centre. Feed the kids in time, play with them, change their diapers, and do what ever it takes to make them happy! 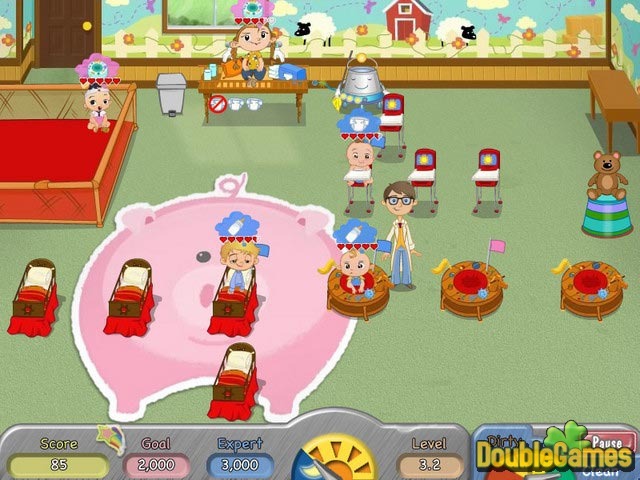 Title - Diaper Dash Game Download for PC and Mac Description - Become acquainted with Diaper Dash, a Time Management game published by PlayFirst. Every adorable baby in DinerTown is all bundled up for you to lavish with love! Make a play date now with the game that's literally crawling with fun! So, you’ll move around after spending 10 levels in a location. Every building consists of a waiting area in the form of a playpen, high chair for feeding, cribs for sleeping, play area and place for diapers change. Oh, and of course, there a lot of pretty babies who have theit own wishes and needs – just be nearby in time! The game has rather decent pace that let you not to go mad as in the previous Dash series. 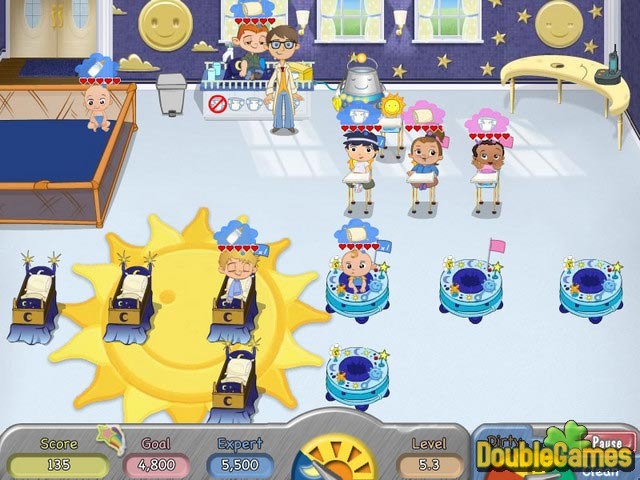 After passing each level, you have the opportunity to decide which upgrades (over 20 upgrades in general) you’d like to get for your daycare first. The game offers you two modes: Career and Endless Day. The first one will tell you this captivating story and take you through 50 levels of baby-minding frenzy. For each level, you should reach the minimum cash goal and try to go for the expert cash goal. Fail to meet the goal and you have to replay the level. And the Endless Day comes with three levels (easy, medium and hard) where you play until five babies become unhappy. 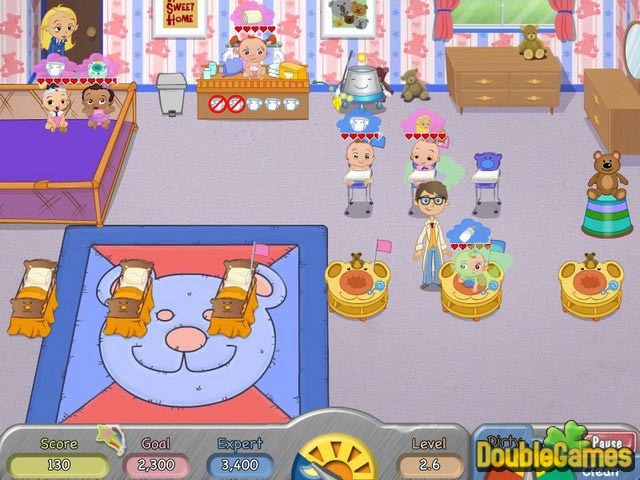 The graphics is colorful and well-polished, the music is charming, and as well as every baby you’ll meet in the game. Honestly, after dozens of levels the game process can seem repetitious, but in spite of this, we like it, cause Diaper Dash funny is really, cute, and rather fresh game.